Each room has a coastal view with a balcony, a table and chairs to enjoy beachside living to the full. The kitchen is in a separated area, it is fully furnished. All the flats have one TV, one washing machine and one landline phone for external reach. 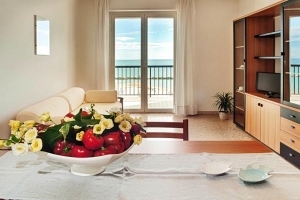 Our studio flats are very well suited for your staying in San Benedetto del Tronto. Cozy and clean, they are in a superb location in order to preserve your privacy and comfort. Our two-room flats are the best option for families and 4 people groups. 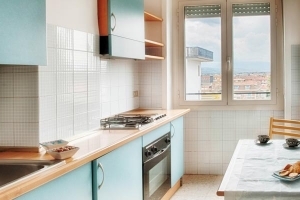 They come either with one or two bathrooms and with a separated kitchen area, to give you the most in terms of comfort during your staying in San Benedetto del Tronto.